For those that have waited in anticipation for the end result, hold onto your seats because here is the finished product! Taaaaa daaaaaa! My very own bottled limoncello. I made 5 and a half bottles. Bottles are 750ml. If you notice the difference in colour the ever so slightly darker one is the big peel limoncello and the lighter one is made with smaller lemon peel, or the second batch. Oh and remember to stir the batches well before straining and pouring into the bottles so you have an even flavour throughout all the bottles. Have I tasted it? No. Not yet. Why not? Well it was 8am when I bottled it so I thought I would wait till later. I have placed the half bottle in the freezer to freeze for the rest of the day. I have put temporary labels on the bottles. I want to make fancy labels later. 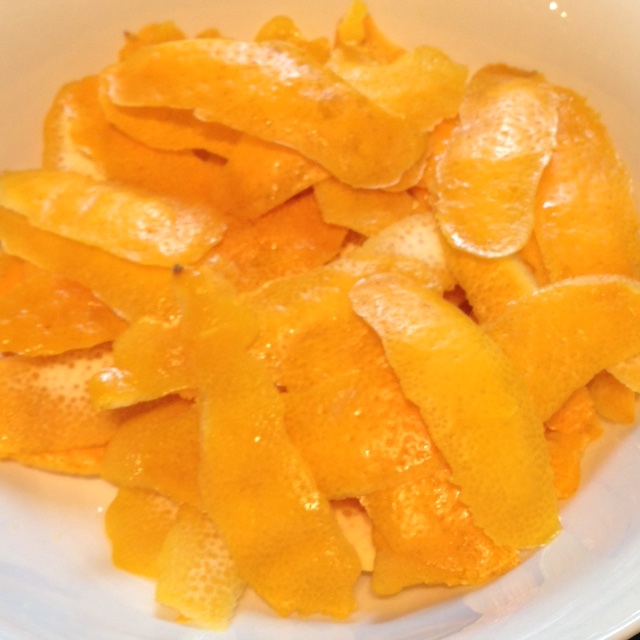 I am now wondering what to do with the leftover lemon peel???? Sugar coated lemon peel recipes, perhaps. If you want the recipe. If you want to see what limoncello looks like during the process. Lemon peel and vodka after one month sitting in the dark. End of phase one of making limoncello. Just so I’m clear, I used two jars so I doubled the mix and in total used four cups of sugar and five cups of water. Use filtered water. Patience comes to those who wait. Watching the brew does not make it work it’s magic faster. Go and do something else. Distraction is the best medicine. 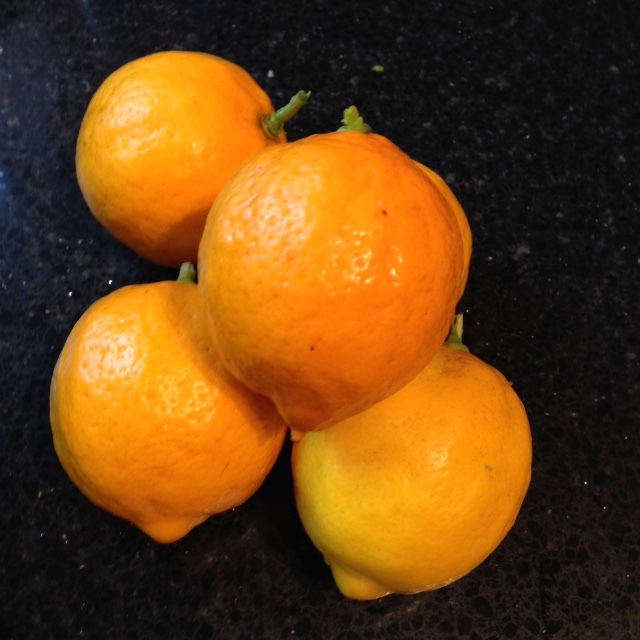 For the actual recipe in my earlier posting see Limoncello. It started with lemons. 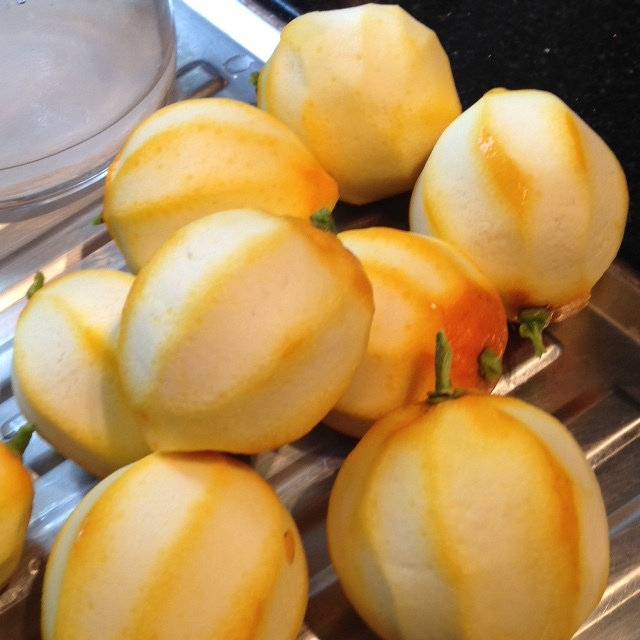 Washed lemons from the tree in the garden. The peeling began. Leaving the white pith behind. The peel became a mound. The peel and the vodka met in the jug. They wandered off to a quiet dark corner to get to know each other better. This recipe is very easy to make. There are few steps. However it is a recipe of patience. 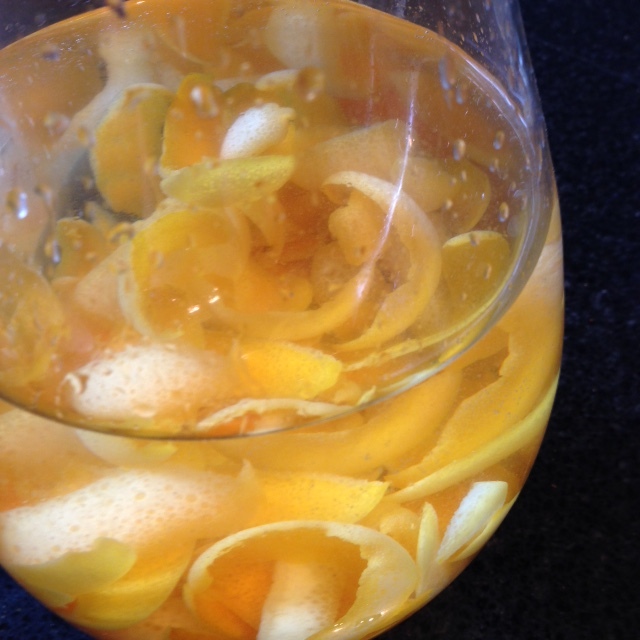 The longer you leave the lemon peel in the alcohol, the better the taste. So advanced planning is required if you want to make it in time for Christmas or for a special occasion. I am storing my limoncello in the corner of the library away from sunlight. Peel lemons with a potato peeler. Don’t go too deep. We don’t want the pith, the white part. Add the lemon peel to a large jug. Pour the vodka over the lemon peel. Let it rest in a dark corner for 14 – 40 days. After the end of step 1, make the sweet syrup. In a large saucepan add the water and sugar. Gently bring to the boil. Boil for 5 -7 minutes. Once cool add the syrup to the lemon peel and vodka. Let it rest in a dark corner for another 14 – 40 days. Strain the peel from the liquid. Bottle the limoncello into nice bottles. Store limoncello in the freezer until ready to serve.